Set in 11 acres of beautiful ancient woodland, we are ideally placed in the heart of heritage rich Bronte country, and only 15 minutes drive from Saltaire village. 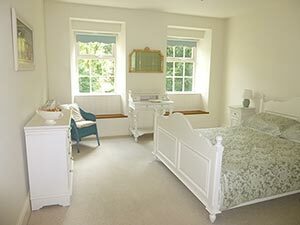 Our 18th century cotton mill and mill workers cottages provide a unique holiday experience for those with a passion for this area’s industrial past. This unique holiday accommodation has been sympathetically converted into ‘5 star’ self catering apartments and houses. Original features such as the spiral staircase, mill chimney and ponds have been lovingly restored yet within this wonderfully historic building, the accommodation is warm, bright and exceptionally comfortable.For more information, photos, floor plans, customer reviews, prices, and online availability and booking, please visit us at www.hewendenmillcottages.co.uk.